Green Alliance published a report last week that claims people in the UK have not been made sufficiently aware of the benefits of energy efficiency. The environmental think-tank added that changes to product policy will shape the future of energy usage in Britain over the next eight years, with households saving an average of £158 a year as a result of cost-cutting measures. The report was welcomed by Simon Osborne, who heads Baxi’s product management team. 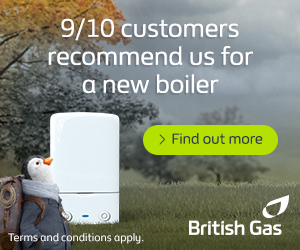 Baxi is one of the leading manufacturers of energy-efficient central heating systems in the UK. Mr Osborne said that the report “highlights the importance of efficiency”, but went on to reiterate Green Alliance’s message that energy users in Britain are not as knowledgeable on efficiency as perhaps ought to be the case. After stating that Baxi is committed to providing British customers with high-performance, energy-efficient boilers and central heating controls, Mr Osborne said: “Apart from the £158 a year a household could save by 2020, an even bigger saving can be made right now by replacing an inefficient boiler. The Energy Saving Trust (EST) says that up to £300 can be saved on annual fuel bills when you replace an inefficient boiler with a new, high-efficiency boiler”. Mr Osborne added that Baxi’s use of gas-adaptive technology can increase annual savings by £70, as energy-efficient boilers monitor combustion on a constant basis to ensure that the correct mixture of gas and air is maintained to produce optimal efficiency. Replacing an old central heating boiler with a new, energy-efficient model is one of the most effective ways to reduce energy consumption in the home. An inefficient boiler can prove costly for households, which can also increase efficiency by installing new central heating controls. Energy conservation is equally important. Households are advised to install double glazing, loft insulation, cavity wall insulation to reduce the amount of heat that is lost through windows, walls and the roof. Limiting heat loss ensures that less energy has to be used to maintain a comfortable temperature in the home. 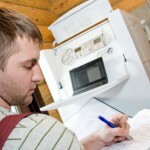 Under the government’s Green Deal initiative, eligible households can use low-interest loans to pay for energy-saving improvements.